Google's online music service started to suggest better tag values for the songs you've uploaded. 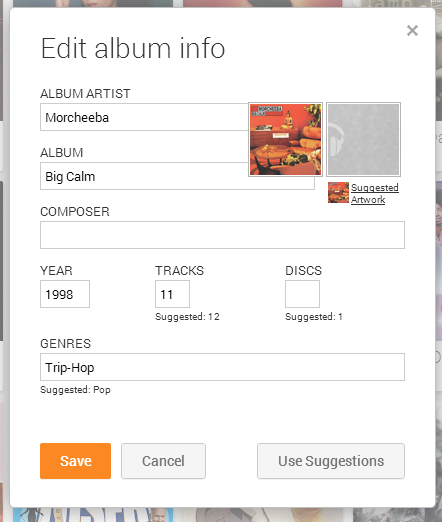 If you right-click a song or an album and select "edit info", you might see some suggested values for the album's name, the track number, genre or even the artwork. Click the suggested value to use it or click "use suggestions" to add all the suggested values, then click "save". There's no magic "fix all my tags" button, so you need to manually fix the tags for each song or album. Google's suggestions aren't always great, so maybe it's better this way.